Dario Aranguiz has won the 2017 Best Technological Innovation, one of the top honors of the Research Park Intern Awards. Aranguiz, an ECE ILLINOIS graduate student, was recognized for his work on robotic navigation as an intern with Petronics. Petronics manufactures high-tech entertainment toys for cats. A Research Park based startup, the founding members are ECE ILLINOIS alumni, including Dave Cohen (MSEE '13), David Jun (PhD '14), and Michael Friedman (MSEE '13). 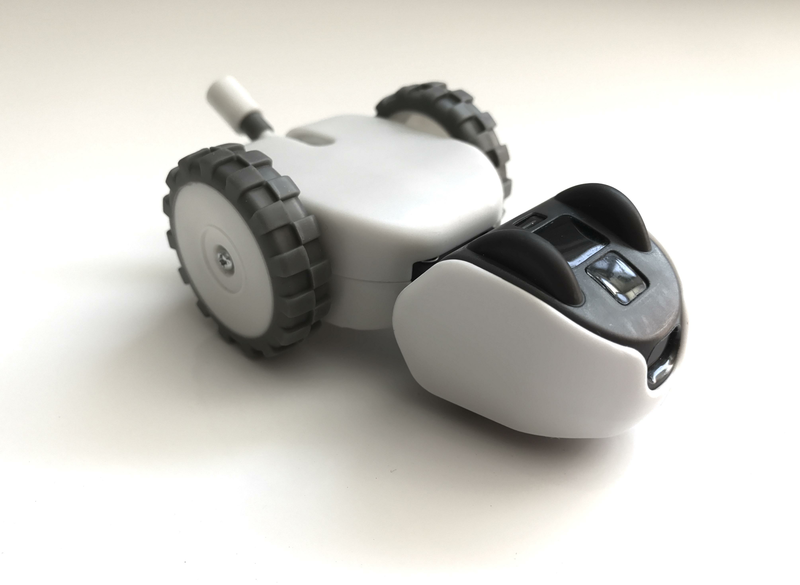 Aranguiz worked on Mousr, a robotic mouse for cats. “I’ve grown up with cats all my life. I still can’t believe I get to work at a cat toy company,” Aranguiz said. Aranguiz first started working with the Research Park-based startup in the summer of 2016 and continued as the project became the prime focus of his thesis work. Petronics is now funding him for graduate school as he completes his master’s in electrical engineering under the supervision of Professor Minh N Do. Aranguiz appreciates the “startup mentality” at the company and the idea of being able to work in many different areas. His undergraduate work in electrical engineering at Illinois involved various fields such as computer vision, control systems, and embedded programming. His work in robotic navigation brings together these seemingly diverse topics. Petronics Manager Dave Cohen praised Aranguiz’s work, saying he has helped them stretch the bounds of what functionality is possible to provide at Mousr’s price point.